What better place to observe and explore the natural world than by sitting on an all natural log bench. 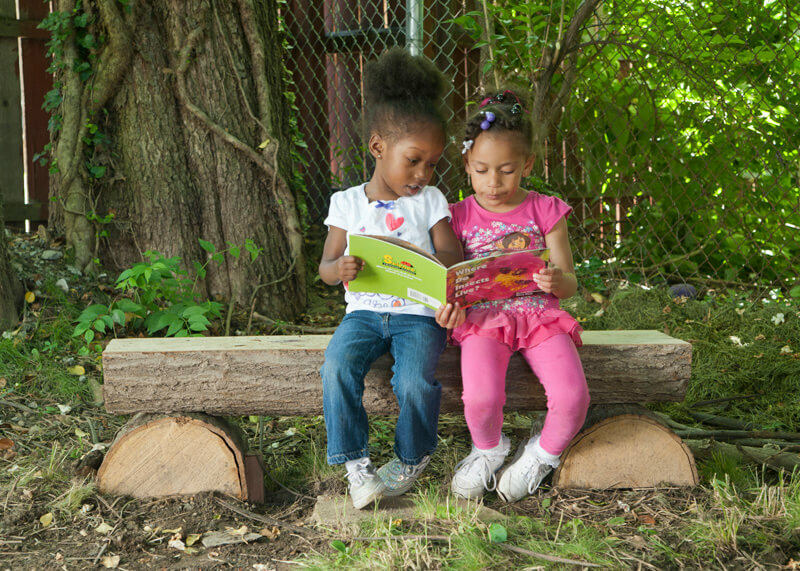 Not only is it a bench, but also an opportunity for studying science on a natural playground. Children can investigate and analyze the characteristics of trees, bark and life cycles. This preschool playground equipment is also a great place to sit with friends and share a giggle or just to sit by oneself and experience solitude and reflection. Products made from tree logs will contain some cracks or splits from the wood drying out, but this will only add to their beauty, natural inclination, and ability to teach children about natural processes, but will not reduce structural integrity. As wood ages, moisture will evaporate and it will become lighter, bark will fall off, and stress cracks and fissures will appear, but this is normal and creates wonderful opportunities for children to learn about the natural properties of trees and wood.